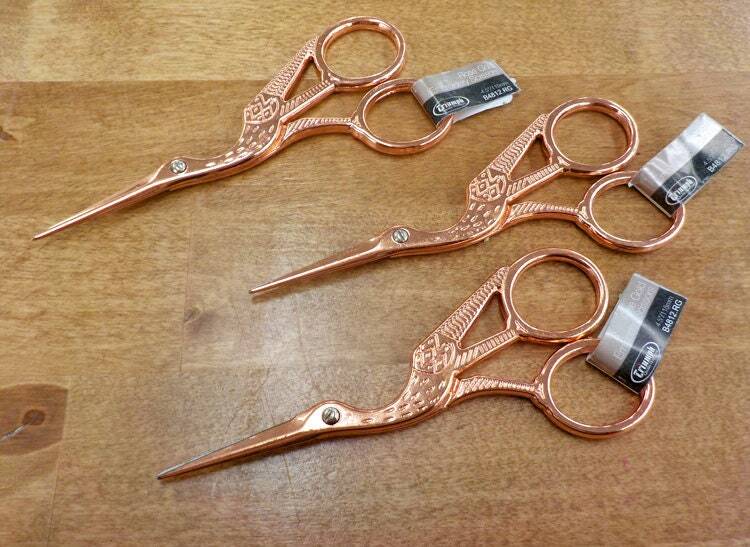 Rose Gold Stork Scissors...Embroidery scissors. Get started on your Rose Gold notion collection today...other notions include...embroidery scissors and thread cutter and sewing shears, small stork scissors, and thimble and lastly a soft sided rose gold colored measuring tape...all are available now! Love that I could get these rose gold items from somewhere in the US. Thank you!